We have three levels of membership status: provisional, active, and sustainer. We also accept transfers from other leagues in the United States and around the world. For more information email membershipinfo@jlcollincounty.org. 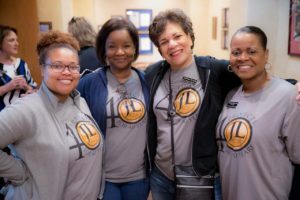 An active member of the JLCC has successfully completed her provisional year and volunteers her time and talents to our organization and to the community. She is a trained volunteer, working in the community in areas of need, or helping with internal functions and organization of the league. An active member must meet several membership requirements, including attending meetings, working our major fundraisers, paying dues, and fully participating in her placement position to remain in good standing. A sustaining member is a former active member who has completed at least six years of active service. While sustaining members are not required to attend meetings, work fundraisers, or hold a placement, they often participate by assisting a committee or placement with their advice and experience. 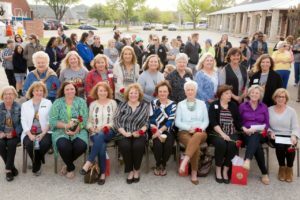 Our sustaining members often serve as mentors to the provisional and active members of the league, and are a valuable source of support and inspiration to the league as a whole. Contact sustainers@jlcollincounty.org for more information.